David Flick, Principal and Founder, announces that the firm successfully completed Section 404/401 Clean Water Act permitting for the Holly Farms residential development in Kansas City Missouri. The project will help meet the demand for single family homes in the NW 108 th Street vicinity in Kansas City North. Scientists with Terra Technologies completed a jurisdictional assessment of potential waters of the United States within the limits of the proposed development project. The site is approximately 62 acres in size and consists of agricultural land. There were three wetlands totaling 0.61 acres. The US Army Corps of Engineers, (USACE) has jurisdiction over all US waters. At the state level, the Missouri Department of Natural Resources (MDNR) provides the water quality certification. 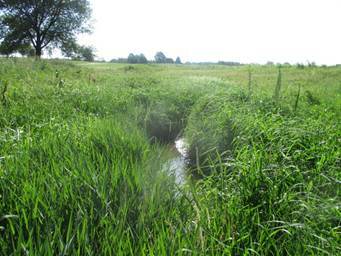 In order to replace the lost aquatic resources that result from the authorized project, mitigation credits will be purchased from the Nishnabotna / Platte Rivers EDU Umbrella Mitigation Bank where such surface waters are preserved through perpetuity under management by Terra Technologies. For more information about Clean Water Act Section 404 Individual Permits, please contact your local office of Terra Technologies.